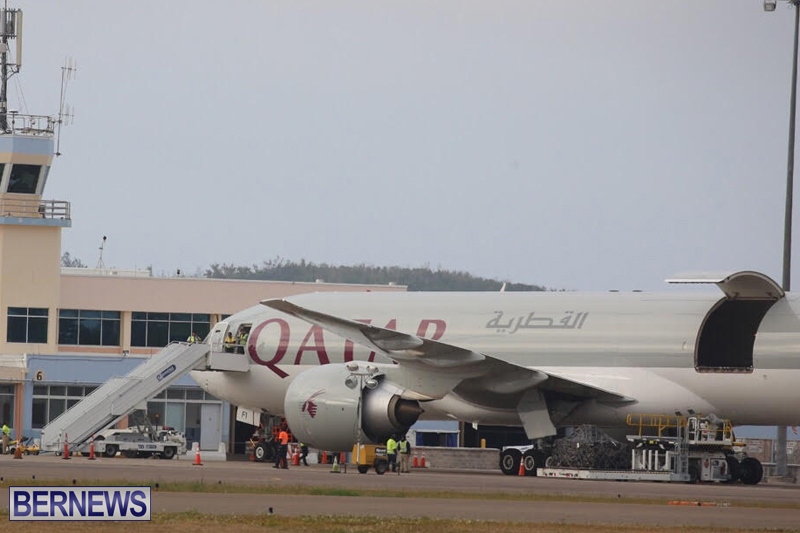 [Updated] A Qatar Airways cargo plane landed at Bermuda’s airport this morning [April 6], and a number of boxes are being unloaded from the plane. 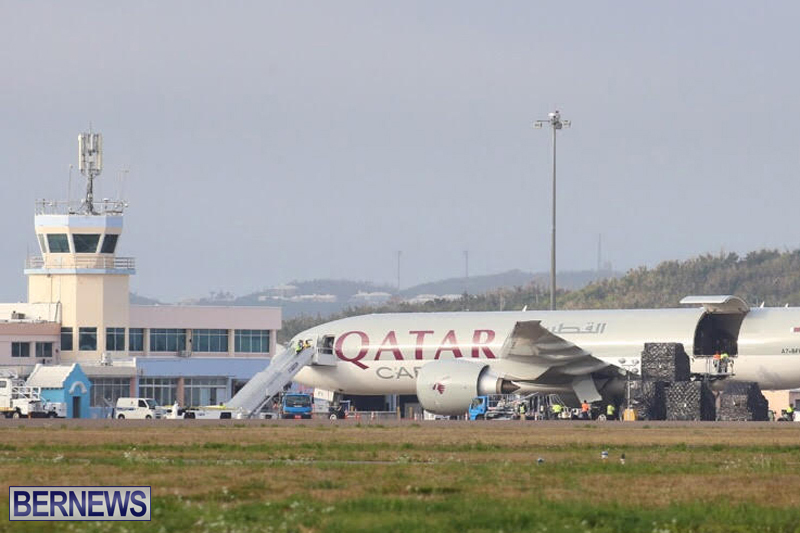 According to an online tracker, the Boeing 777-200LR/F arrived on the island this morning from Hamad International Airport in Doha, Qatar. 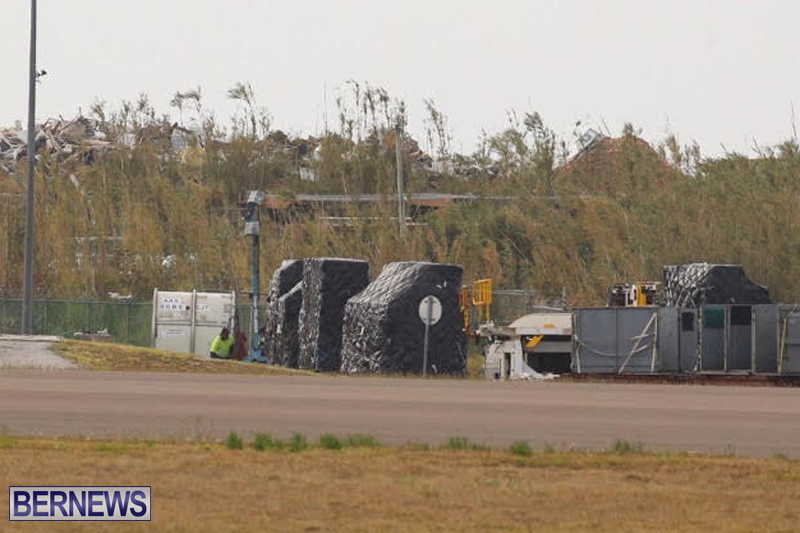 The boxes being unloaded are all covered in black material, and what exactly the cargo is not confirmed at this time, however we are asking relevant entities and will update as able. 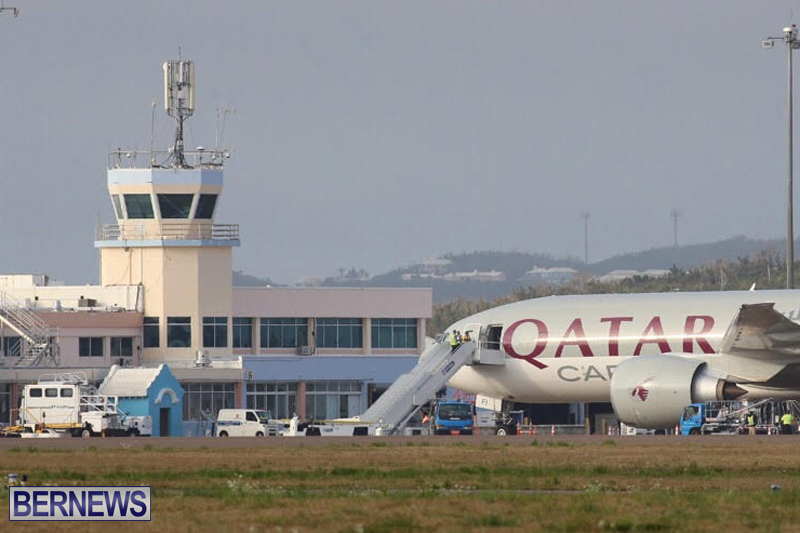 “At 7:35am this morning, a Qatar Cargo plane from Doha landed at L.F. Wade International Airport to offload cargo before leaving at approximately 9:40am. 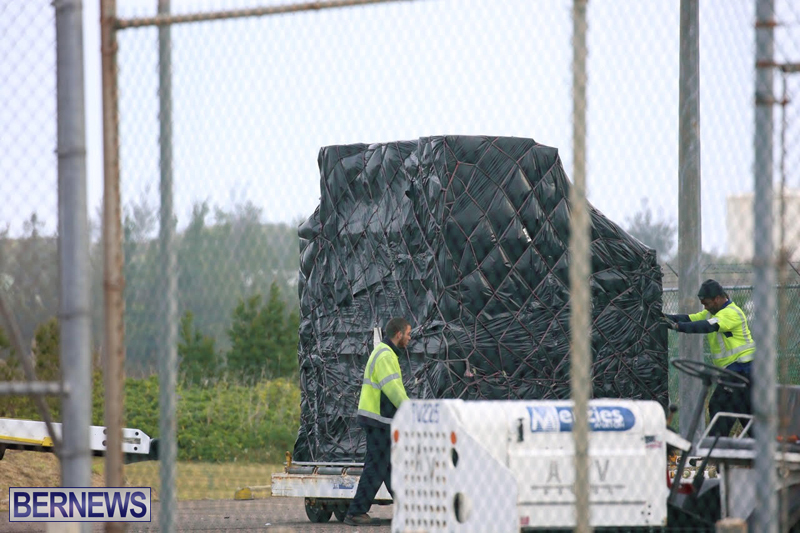 This cargo contained materials to support the America’s Cup,” the spokesperson said. 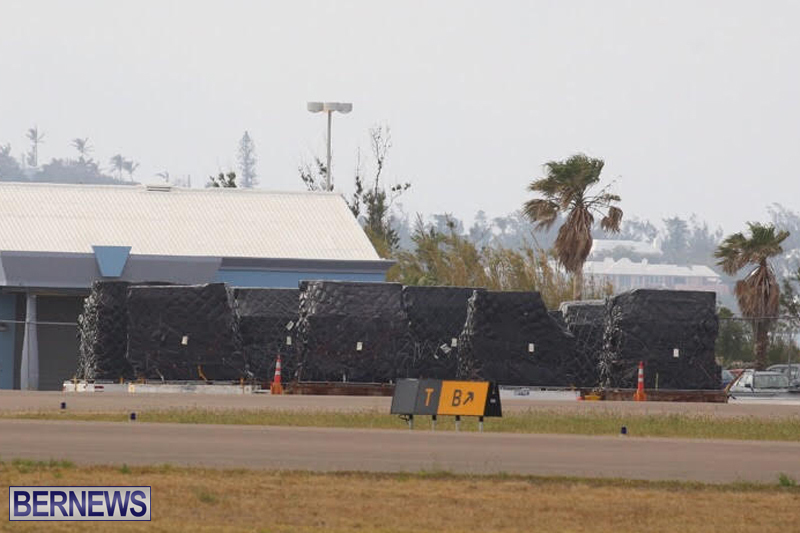 Maybe they are covered in black because it’s PRIVATE…as in,,dont be POKEY! 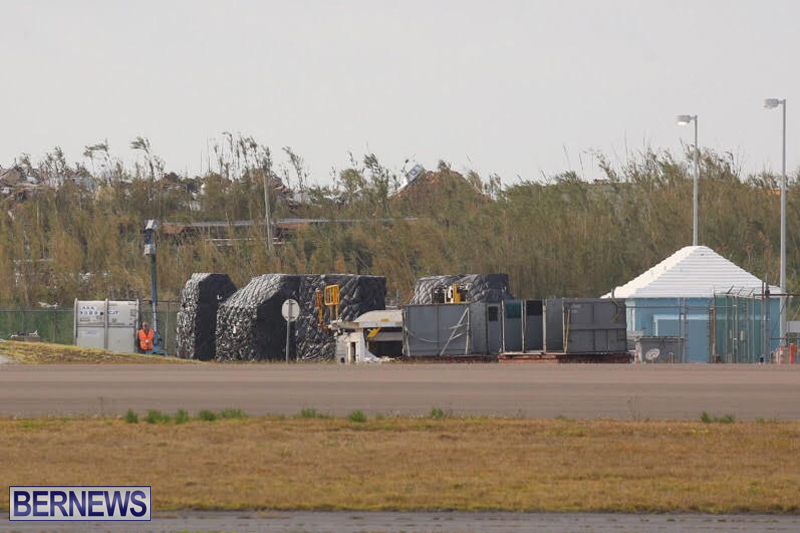 Probably stuff for the new Airport. 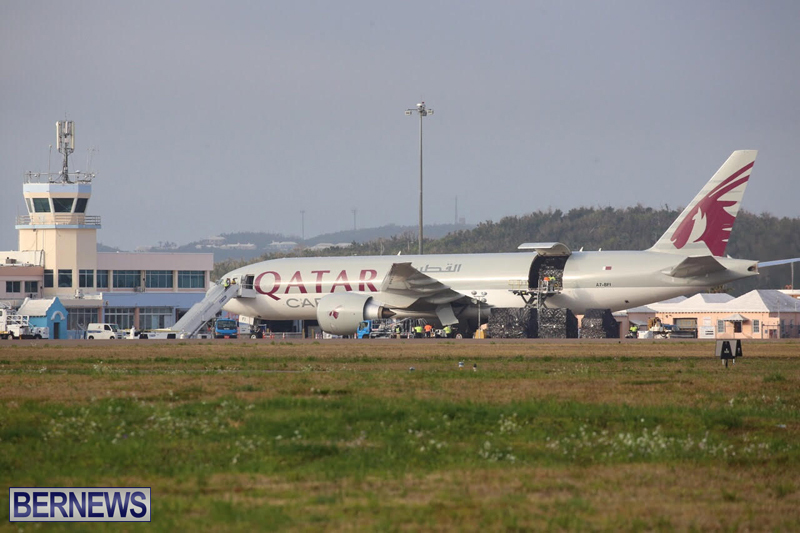 Emirates Team New Zealand gear arrives? 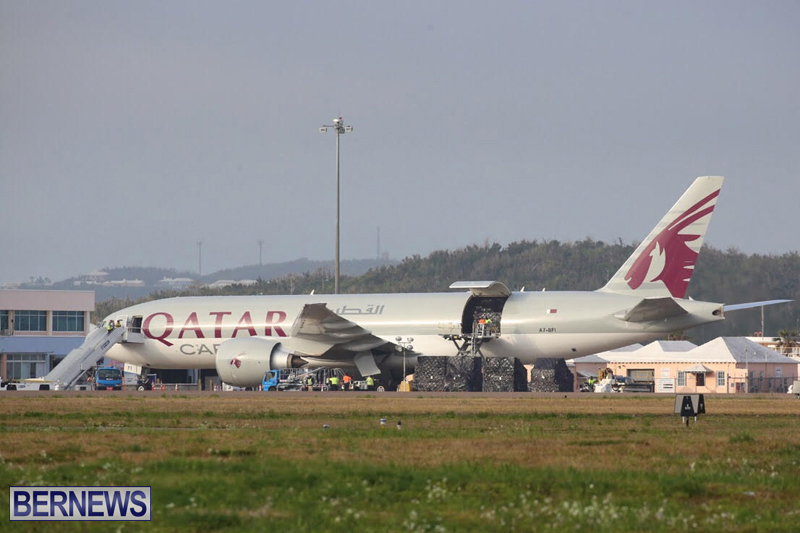 Emirates Team would most likely use Emirates Airlines rather then Qatar..
You are right that is the best way to sum it up. 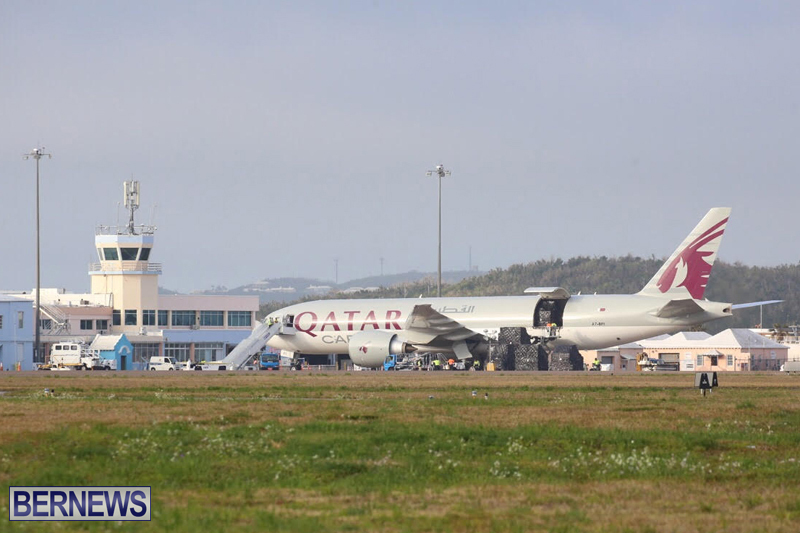 The “duty free” cargo is ……..
Why would it be evidence of a stimulated economy, was it purchased local thus stimulating the local economy? 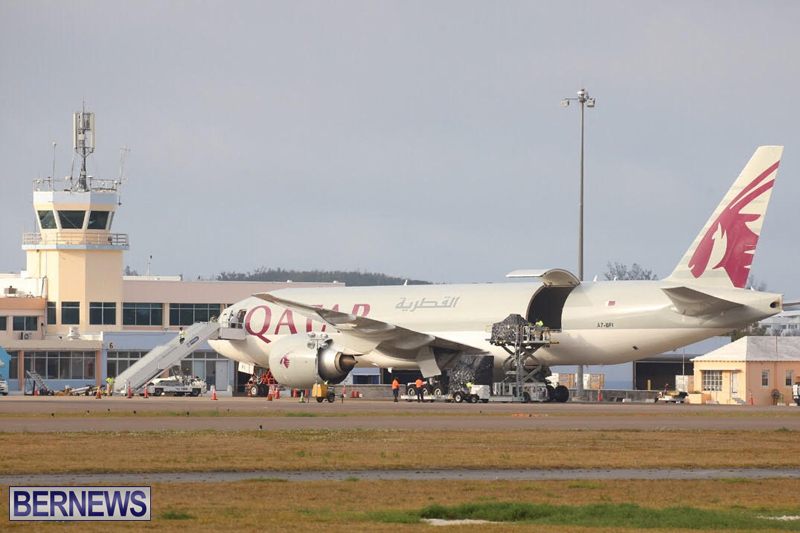 Or was it shipped in “duty free” thus making no direct financial contribution? Let the speculation begin. 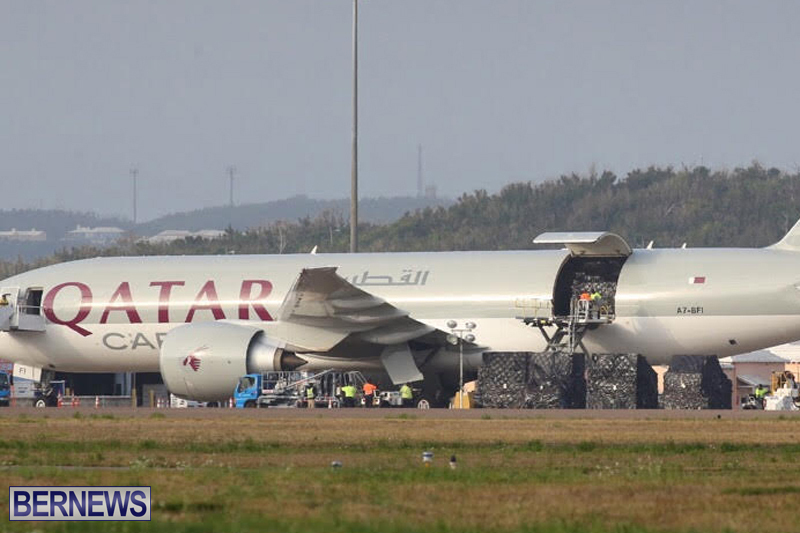 What have our friends in the Arabian peninsula delivered to these shores? 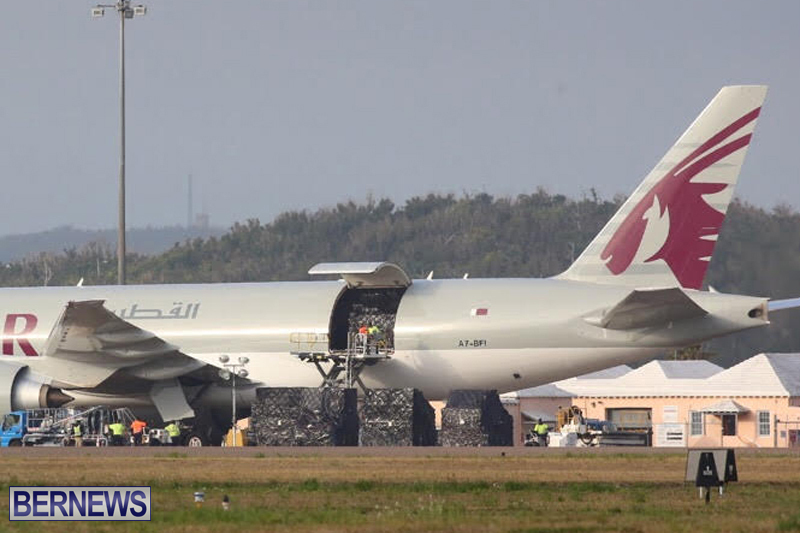 Who says the cargo originated in the Arabian peninsula? 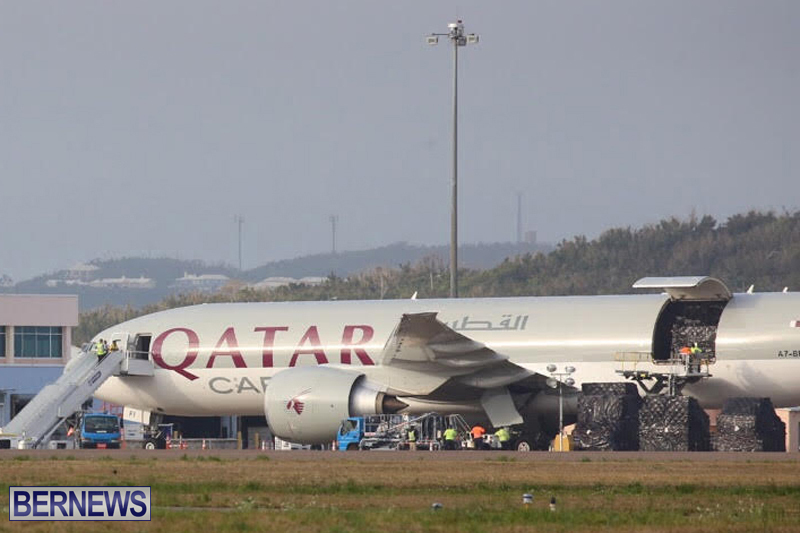 Sorry, it was delivered by Qatar Airways. So yes it could have come from anywhere (and based on the amendment to the article, that was the case). Team New Zealand’s new boat – its a blow up version of the AC50. Paddles optional! Could be some boxes of weegars from Cuba. Oh wait those days are SOOOOOover. 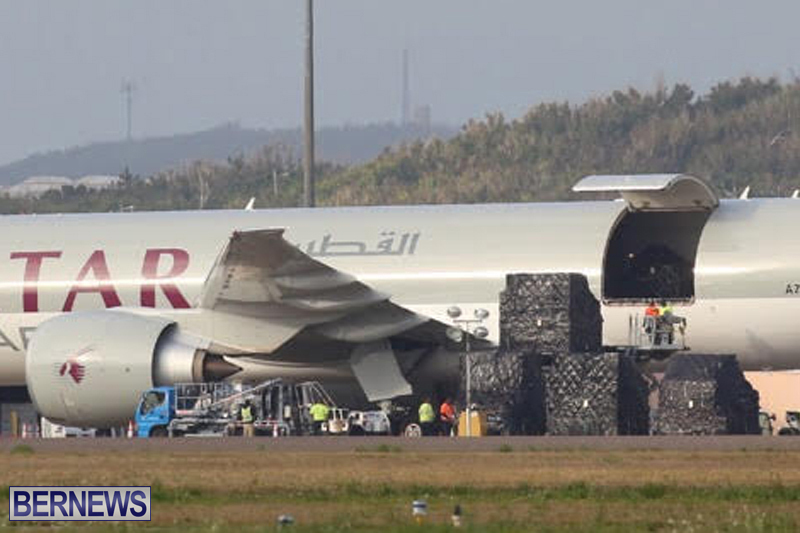 Did the Doc and Col. do the unloading? I hope it’s something in there to fix the scrambling track of a road they just paved in Dockyard,I swear it feels like Coney Island.